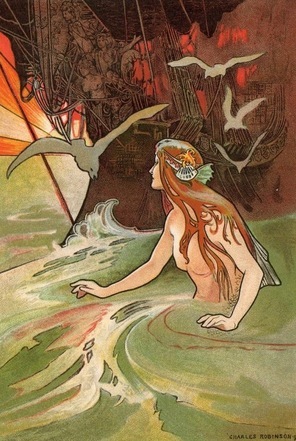 Read Danish folk tales, legends of Norse gods, and the fairy tales of Hans Christian Andersen now. See full list of Danish folk tales. About: Danish folklore finds its roots in Norse Mythology and Scandinavian folk tales. With a landscape that sweeps ever out to sea, and 400 nearby islands, Denmark has long been a land of sailors and sea merchants. The rich nautical history is woven into Denmark’s folk tales to reveal customs, anecdotes and colloquialisms unique to their culture. Read Danish folklore to see all it has to offer. The best known fairy tales were written by Hans Christian Andersen. A natural born storyteller, Andersen’s tales reflect his Christian morals, but many of his characters were certainly based on the folklore he grew up hearing. His characters were often based on Norse gods or goddesses, and included subtle pagan rites and rituals within an otherwise Christian framework. In this way, they are a good reflection of the changing religious landscape that Denmark experienced. Since Medieval times, Danish folklore was passed down through generations in the oral tradition. The folk tales of Denmark were finally collected and written in the 19th century in an effort to preserve cultural history while also building national consciousness and a common ethnicity.